Club Penguin Cheats by Mimo777 Club Penguin Cheats by Mimo777: Club Penguin: Penguin Style Sneak Peek! 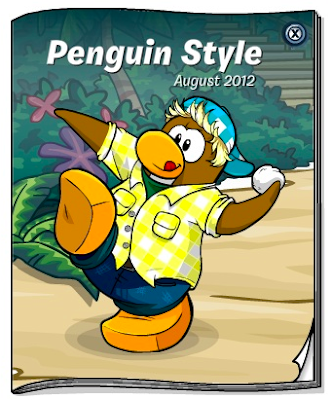 Club Penguin has tweeted a sneak peek on the front cover for August's Penguin Style catalog! The background looks like something you would see at an Adventure Party coming in August... Hmmmmm? Holy cow the catalog is tomorrow!!! But the guy has a snowball. Something sporty perhaps...?